Founded in 2004 in Brasil by Sébastien Kopp and Ghislain Morillion, Veja was born from the founders' dream to create a new brand, mixing their values and their style : mixing refined design, ecology, fair trade and social cohesion. In ten years of existence, the founders of Veja have brought proof that it is possible to reinvent the way minimalist sneakers are manufactured. 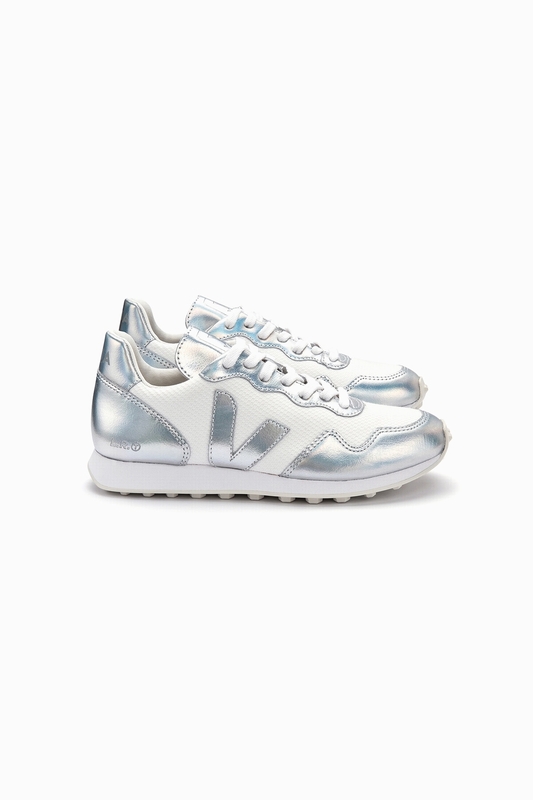 The B-Mesh used by Veja is made from recycled plastic bottles. 3 plastic bottles are used to create a pair of sneakers. This upcycling process creates a smart fabric, both breathing and waterproof. 583sjc1x8pe3gw - execution time: 3.969 sec.